When it comes to SEO (Search Engine Optimization), you hear a lot about how to improve your Google search position and get to the number one spot in Google's organic results. That's every company's goal, and the SEO "gurus" out there love to drive it home. They are right—getting onto page one of Google's results (within the top 10) and then up to position number one is crucial for every company's marketing strategy. However, there is a missing piece. Allow me to explain. As you can see from the chart above, the first position in Google's results receives 32.5% of the visits, the second position receives 17.6% of the visits, and so on. If you're in position 11 or beyond, you'll likely receive less than 1% of the visits for that search result. Can you outperform your position's expected performance? Let's say your website sits in position five for the search, "dress shoes for men." 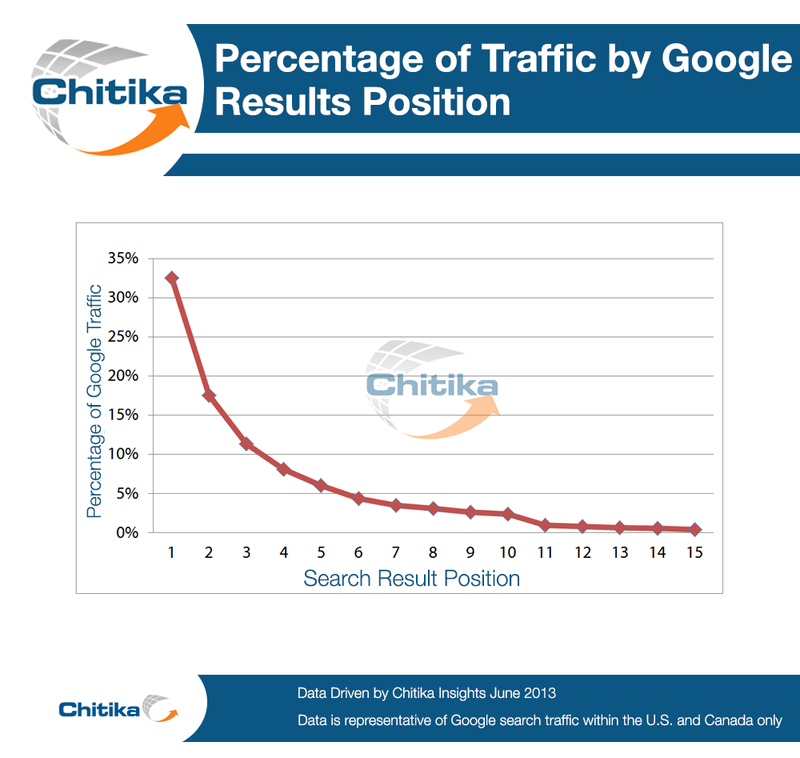 According to Chitika, you are likely to receive about 6% of the visits. 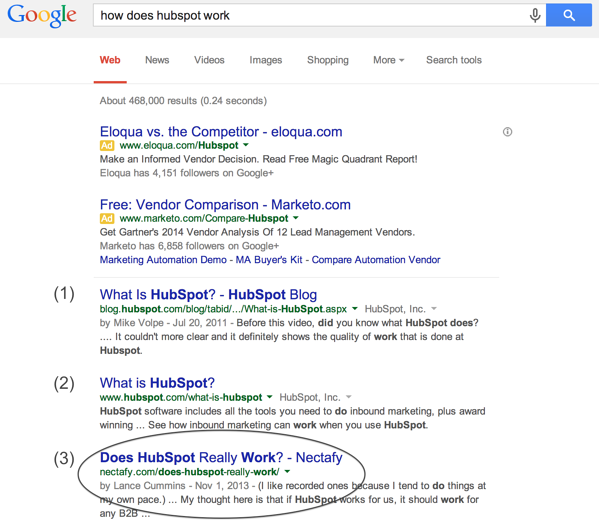 So if 100 people search this phrase, you'll only receive six visitors to your site. On the other hand, the website in position one will gobble up about 33 visitors. But, guess what? You're not relegated to 6% of visits if you speak to the people searching rather than to Google's algorithm. What if your result is more attractive than numbers one through five? Google may not bump you up... but the people searching still have a choice. This is how you outperform your position and increase traffic from Google, no matter where you stand. So, in short, the answer is yes. You can outperform your Google search position. Here's how we do it. Let's start with Nectafy's real data. 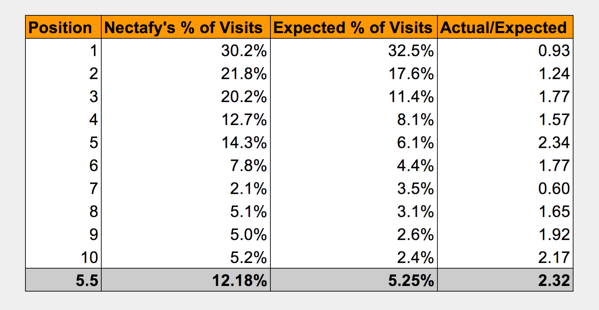 Across the entire 100-query sample, Nectafy captures 2.32 times (or 132%) more visits than expected at an average spot of 5.5 in Google. Why are we capturing more than twice as many visitors as we should be? 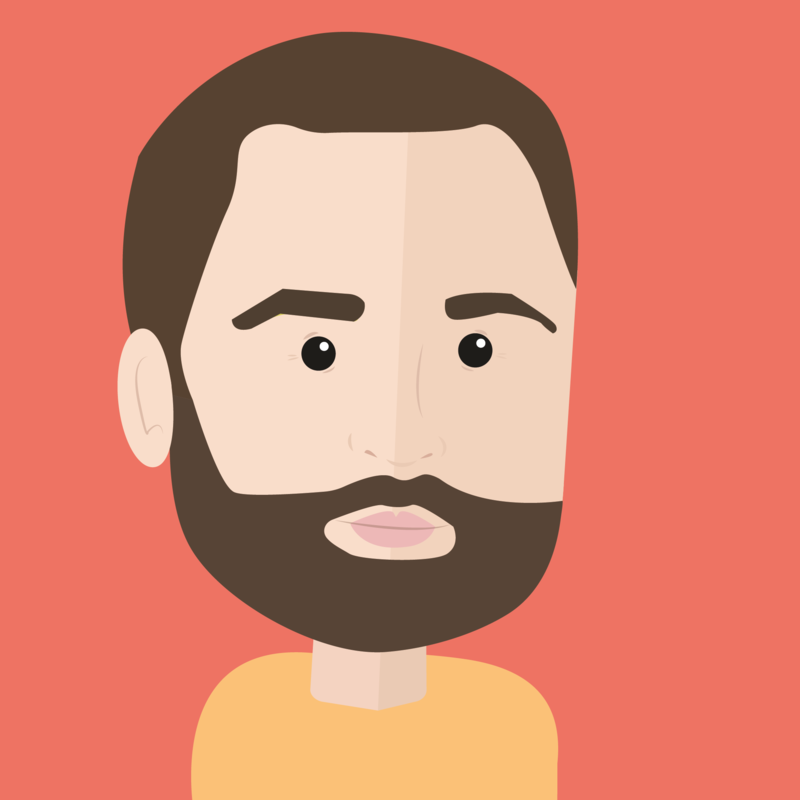 Write titles for humans, not search engines. Your biggest opportunity to outperform your position and increase visits is by writing titles that are interesting to humans, not computers. If nine options have titles that read, "Dress Shoes For Men | The X Company" and yours is unique, informative, and authentic... you are likely to outperform your position. People like to read real information, not stock copy designed for Google's computers. Take this search result, for example. At position #3, we are expected to capture 11.4% of the visits, but actually receive 24% of visits. That's more than two times greater than expected. The title is authentic and informative and it offers an outside perspective of HubSpot (since it comes from nectafy.com rather than hubspot.com). Additionally, the author (Lance Cummins) and date posted (November 1, 2013) give the searcher an idea that they'll hear this viewpoint from a real person. That's attractive to a person looking for a real answer to his or her question. There are two ways to get more traffic from a certain keyword: 1) you can improve your search position, and/or 2) you can outperform your expected position's likelihood of a visit. You'll hear all of the SEO consultants, gurus, employees, agencies, and bloggers talk about number one, but not number two. That's because they're focused on Google's algorithm and not the person conducting the search. If you write for humans first and computers second, you'll accomplish both of the tactics above and drastically increase the visits you receive organically from Google. Now that's a powerful plan. Lastly, let me just make sure I'm right about this theory: let me know if you're a person or a computer @nectafy on Twitter or in the comment section below.